Troubleshooting and Maintaining Cisco IP Networks (TSHOOT) v2.0 is an instructor-led training course that is presented by Cisco training partners to customers who use Cisco products. This five-day course is designed to help network professionals improve the skills and knowledge that they need to maintain their network and to diagnose and resolve network problems quickly and effectively. 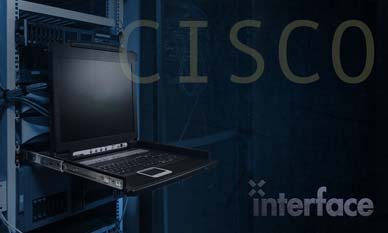 It also assists the network professional in preparing for Cisco CCNP certification. This course is a component of the CCNP curriculum. Create and update documentation as part of routine maintenance to support the troubleshooting process and routinely update documentation as part of the troubleshooting process to keep the documentation accurate and up-to-date. Network professionals who want to increase their skill level at maintaining and troubleshooting complex Cisco IP networks. The typical job roles for this type of professional are network engineer; network operations center (NOC) technical support personnel, or help desk technicians. In addition to CCNA certification, it is recommended that the student have practical experience in installing, operating, and maintaining Cisco routers and switches in an enterprise environment. It is also recommended that the student have knowledge and experience with the implementation and verification of routing and switching technologies as offered by the Implementing Cisco Switched Networks (SWITCH) and Implementing Cisco IP Routing (ROUTE) courses or equivalent skills and knowledge.